At the 'NWO-MVI Connecting practices' conference, the added value of the MVI approach for practice and society is central. The connection and dialogue between science, business and society is an important approach. In the plenary programme, Jeroen van den Hoven (Delft University of Technology), Luuk Klomp (Ministry of Economic Affairs and Climate Policy), Maarten-Jan Kallen (BeDataDriven) and Françoise Rost van Tonningen (Rabobank) address MVI and the digital society. There are also workshops on MVI and smart mobility, energy, and circular economy. There are also workshops on collaboration between researchers and (public and private) partners, as well as on MVI and 'Learning Communities'. During the day we work on two questions from corporates to which NWO-MVI can contribute. Are you engaged in innovation processes? Are you eager to make innovation more responsible? Then join us at the conference ‘NWO-MVI Connecting practices’! Meet the NWO-MVI community and get to know experts from universities, governmental organisations, businesses and other stakeholders involved in responsible innovation. You will have plenty of networking opportunities and will be updated on the progress within the NWO-MVI projects. We look forward to welcoming you at 19 January 2018 at Muntgebouw Utrecht to connect with and be inspired by NWO-MVI. We regret to inform you that registration is no longer possible, since we are fully booked. During the day we will work on two challenging questions from two corporates (Thales and Unilever). The questions will be introduced by representatives of the businesses. Two teams will collect the input and present the results at the end of the day. You can provide input via an online system or directly via the team. Question 1: How to motivate corporates to put responsible innovation (MVI) on the agenda? Especially when stakeholders do not explicitly ask for this and when it does not serve a direct commercial purpose, or when a corporation has a business-to-business orientation? Question 2: Who determines what makes an innovation responsible? Science, society, governance? What to do in the case of conflicting views? The MVI approach and the practice of Learning Communities: what can they contribute to each other? How can results of MVI research be put into practice and made applicable for (the practice of) Learning Communities and the great societal challenges and transitions that we face today? And what role can Learning Communities play in the dissemination of MVI knowledge? This workshop is led by Rietje van Dam, professor emeritus at Leiden University and member of the NWO-MVI Programme Committee and the Supervisory Board of the TKI Biobased Economy. The Learning Communities are introduced by Marsha Wagner, Programme Manager Human Capital Agenda Topsector Energy. The concept will be elaborated upon by the NWO-MVI project case Partnership for smart cities, presented by Dr Merel Noorman and Marcel van Hest (Alliander). Also contributing are Leon Joore (Millvision), Tinus Hammink (HAN University of Applied Sciences), Martin de Haan (ROC van Amsterdam) and Robert Koch (ROC Midden-Nederland). In what ways can researchers and private/public parties cooperate in research and innovation projects and simultaneously keep their independent position and their reputation? What are the obstacles researchers and private/public parties might face when they work together on responsible innovations? And, how can these different practices benefit from cooperation? Natasja van den Berg – host of the day – will be leading this workshop. Inspired by NWO-MVI project cases, we explore the value of the MVI approach for society and practice. Participants are invited to take several stakeholder perspectives in the following three workshops. Paulien Herder of the Topteam of the Topsector Energy is leading this workshop. Albert Veenstra of TKI Dinalog (the Top consortium for Knowledge and Innovation for Logistics) is leading this workshop. Kees de Gooijer, Chief Inspiration Officer for TKI Agri&Food, TKI Biobased Economy, and Food & Nutrition Delta is leading this workshop. Walk-in session challenging questions - In this session you have the opportunity to provide your input to the two challenging questions from corporates directly via the team. 16.15 – 16.30 hrs: Challenging questions answered? Natasja van den Berg serves as advisor, publicist and moderator at Tertium, a company that she co-founded. Tertium deals with various forms of participation of citizens and involving society in sustainable themes, the renewal of democracy and human rights. Natasja gives strategic advice on these issues and acts as a moderator at symposia and conferences. As a debate leader she moderates dozens of dialogues every month. Van den Berg studied political science at the University of Amsterdam. She was head of political programming at the De Balie debate center in Amsterdam and columnist for De Pers newspaper and the Ode magazine. From 2007 to 2009 she was project manager at broadcast organisation Llink. Together with Sophie Koers she published the bestseller ‘Praktisch Idealisme – handboek voor de beginnende wereldverbeteraar’ (2004). In 2012 she founded Tertium with Michiel Hulshof and Menno van der Veen. She is currently a member of the Supervisory Board of the Hivos Triodos Fund and of Max Havelaar. Anthonie Meijers is professor of Philosophy and Ethics of Technology at Eindhoven University of Technology (TUE) and chair of the NWO-MVI Board. He studied Mechanical Engineering at Delft University of Technology and Philosophy at Utrecht University and received his PhD from Leiden University with a thesis on speech act theory and the ontology of the social world. His research interests include the theory of technological artefacts, the theory of cooperation and collective intentionality, and the ethics of technology (more specifically related to behavior change technologies). He has been involved in many NWO sponsored research programs on topics such as persuasive technology & social values, cognitive artefacts and the extended mind, the nature of engineering knowledge, the quantified self, and energy technologies and behavior change. Anthonie Meijers is the editor in chief of the Journal Philosophical Explorations. He has also been the editor in chief of the landmark publication Handbook Philosophy of Technology and Engineering Sciences (2009). He is currently vice-dean of the department IE&IS at TUE, a member of the board of the Social Sciences and Humanities domain at NWO, and chair of the Dutch Research School of Philosophy. As of 1 January 2018 he will become the scientific director of the 4TU Center for Ethics and Technology. Jeroen van den Hoven is University Professor and Professor of Ethics and Technology at Delft University of Technology and member of the NWO-MVI Board. He has written extensively on ethical aspects of information technology. He is Founding Editor in Chief of the Journal Ethics and Information Technology, since 1999. In 2009, he won the World Technology Award for Ethics as well as the IFIP prize for ICT and Society for his work in Ethics and ICT. 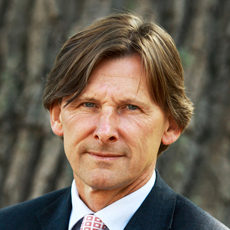 Jeroen van den Hoven was founder, and until 2016 Programme Chair, of the Dutch Research Council on Responsible Innovation. He chaired the EU expert group on Responsible Research and Innovation (RRI). He is member of the European Group on Ethics (EGE) and the Ethics Advisory Group (EAG) of the European Commission. Luuk Klomp is Deputy Director of Innovation and Knowledge of the Ministry of Economic Affairs and Climate Policy of the Netherlands. He is also a member of the management team of Top Sectors and Industrial Policy Department. His main responsibilities cover public-private partnerships on R&D and innovation, financial instruments for SMEs, and strategy and analysis. Luuk Klomp has been working in different functions for the Ministry of Economic Affairs since 2002, both in policy departments and in the predecessor of Netherlands Enterprise Agency (RVO in Dutch). Prior to joining the Ministry, he was responsible for R&D and Innovation at Statistics Netherlands (CBS), and an active member of two expert groups on the Community Innovation Survey led by Eurostat, the statistical office of the European Union. From 1987 to 1998, Luuk Klomp served as Assistant Professor of Economics and Statistics at the Erasmus University Rotterdam (EUR). He studied Economics at the EUR, obtaining a PhD in 1996. He has co-authored around 60 scientific papers and contributed to some 10 academic books. Françoise Rost van Tonningen is Head of Ethics Office at Rabobank. She studied Sociology and Communication Sciences in Utrecht and Amsterdam. Since her graduation, she has completed several marketing and banking courses. She has been working at Rabobank in different positions and in various departments. In recent years she has primarily been concerned with the various aspects of business ethics: she manages the Ethics Office of Rabobank. In its radar function and boost function, issues and cases are submitted to the Ethics Committee. This can be a starting point for - or a contribution to - policy-making on subjects/issues such as human rights, armaments industry, how to deal with data and artificial intelligence. Today she also focuses on stimulating an internal dialogue on ethical dilemmas and sharing knowledge and experience with internal and external stakeholders. 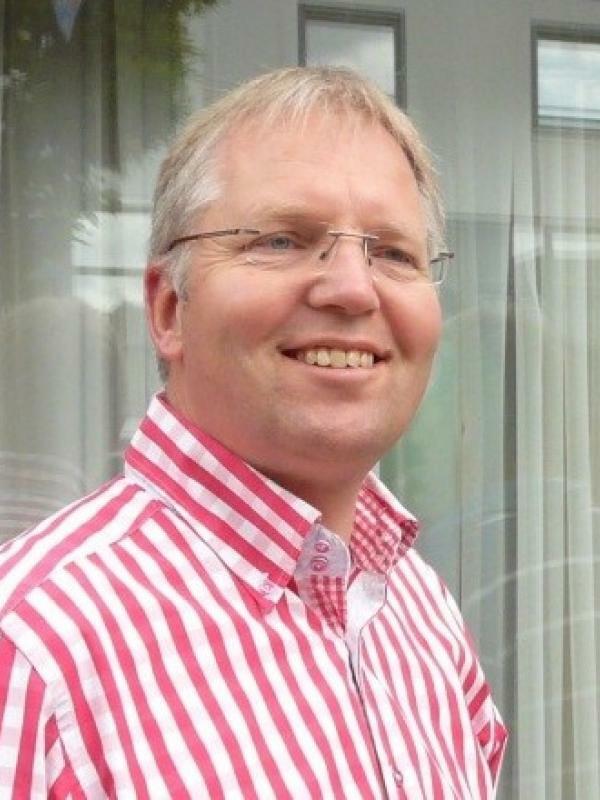 Maarten-Jan Kallen obtained his PhD in applied mathematics from the Delft University of Technology and is now Managing Director at BeDataDriven B.V., a company based in The Hague. The company runs ActivityInfo.org, which is a Software-as-a-Service application designed for collecting data and reporting on humanitarian aid activities. The application is being used by many UN country offices as a key tool to support the collaboration with implementing partners such as international and local NGO's. Some of the largest uses of the tools are for the Syrian refugee response in Lebanon, Jordan, Iraq and Turkey, for the civil war in Yemen, and for the ongoing humanitarian crisis in the Democratic Republic of the Congo. To keep this niche product affordable, the company also generates income from consulting services in the area of data management and analysis to commercial clients in many different sectors. One of our selling points in this area is our extensive experience with the R programming language and our work on building an enterprise-class interpreter for the language called Renjin. 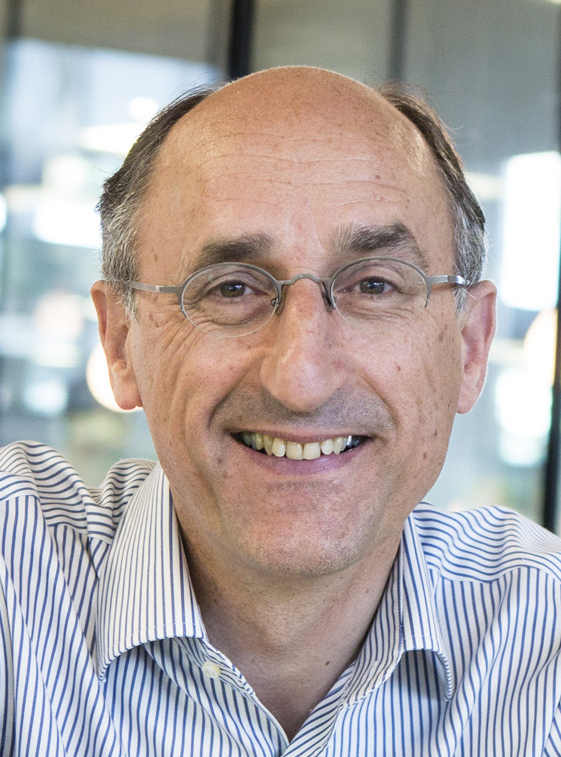 Wim van den Doel is member of the Executive Board of the Dutch Research Council NWO and chair of the domain of Social Sciences and Humanities (SSH) since its start in January 2017. SSH was a result of the merging of the former NWO department of Social Sciences and the former NWO department of Humanities. In 2003, Van den Doel became professor of Contemporary History after being fellow at the Netherlands Institute for Advanced Studies twice. He wrote various books on Dutch colonial history. Between 2007 and 2016 he served as Dean of the Faculty of Humanities of Leiden University. He also was member of the board of the Clingendael Institute (the Hague), the Roosevelt Study Center (Middelburg) and Chair of the Steering Group of the Social Sciences and Humanities Community of the League of European Research Universities (LERU).